Home Puppies What are the worst and best chew toys for your puppy? As a dog owner, you probably want your dog to be happy and full of energy. You go out and buy toys because it’s like a having a baby in your house that needs special care and assistance. 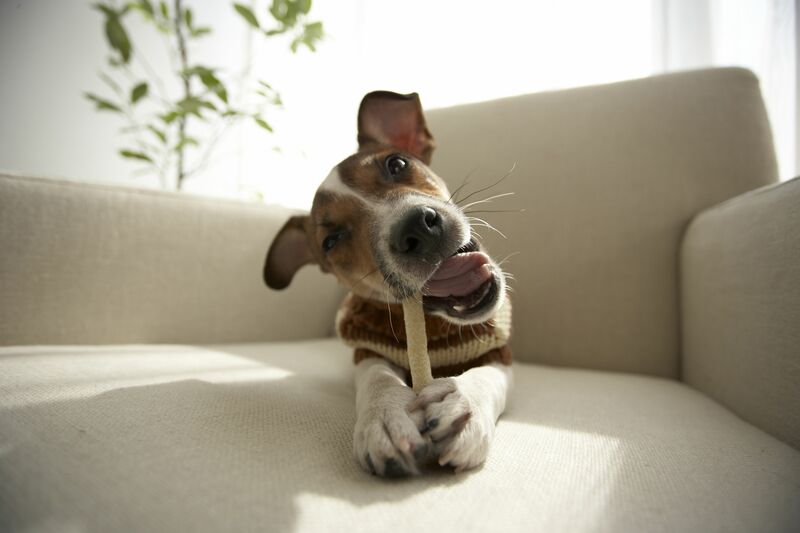 Dogs are prone to chewing. From the very first moment they walk into a new home, they’ll find items that are tasty and completely chewable, such as your favorite pair of shoes. However, you need to establish some boundaries and get toys that can be used for this purpose. It’s important to learn about which chew toys are good for your dog’s health and which can cause potential injuries. 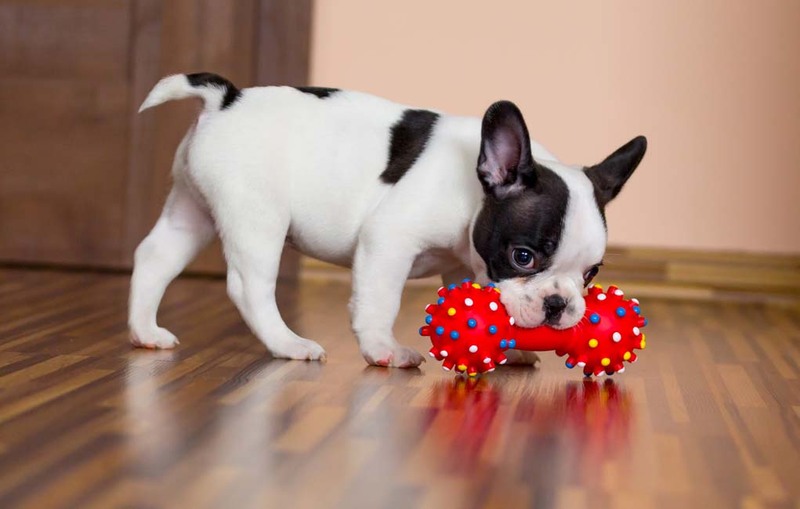 Only then you’ll be able to compare puppy chew toys and get ones that are suitable for your pet needs. Rubber toys that are fillable are an excellent option because they are impossible to be destroyed. No matter how much time a dog spends chewing it, it won’t be able to broke it. Moreover, some cool rubber toys can be filled with water and froze, making them useful for treating your dog’s sore gums. In addition to these, you can always rely on hard nylon toys if you’re out of ideas. Indestructible like rubber ones, these units are practical as long as you choose the appropriate size for your dog. If you don’t, he might swallow it, causing a potential blockage. Another type of safe chew toy used by many dog owners is thick rope toys. The only possible drawback with them is that you have to choose quality over everything else. Otherwise, your puppy could rip it off and swallow the small pieces. From there, intestinal blockage is inevitable which can make him extremely sick. On top of this, these things are used for playing tug-of-war. If your puppy is not entirely full-grown, you might want to avoid them because they can ruin his teeth. A great tip is to soak the rope into the water and then let it in the freezer overnight. This way, the toy remains intact, and your dog feels excellent thanks to the cooling effect in his gums. However, some chew toys should be avoided as much as possible. Under no circumstances give your dog toys that feature sharp or small metal components. Things like pins, batteries or springs are harmful and can cause severe injuries to your lovely furry friend. If you decide to learn your dog how to be more aggressive, don’t include thin ribbons or strings in your training routine. 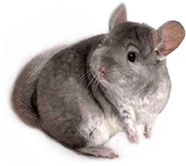 They can swallow these fibers and suffer from internal blockage which can be fatal for a pet. We’ve all see how in the cartoons dogs are given bones. Nevertheless, cooked bones are fragile and can break into tiny parts that cause damage to the digestive tract. Don’t leave garbage bags around the house because dogs like the sound they make and they could choke while playing with them.